I have been meaning to write this blog post for the longest time. 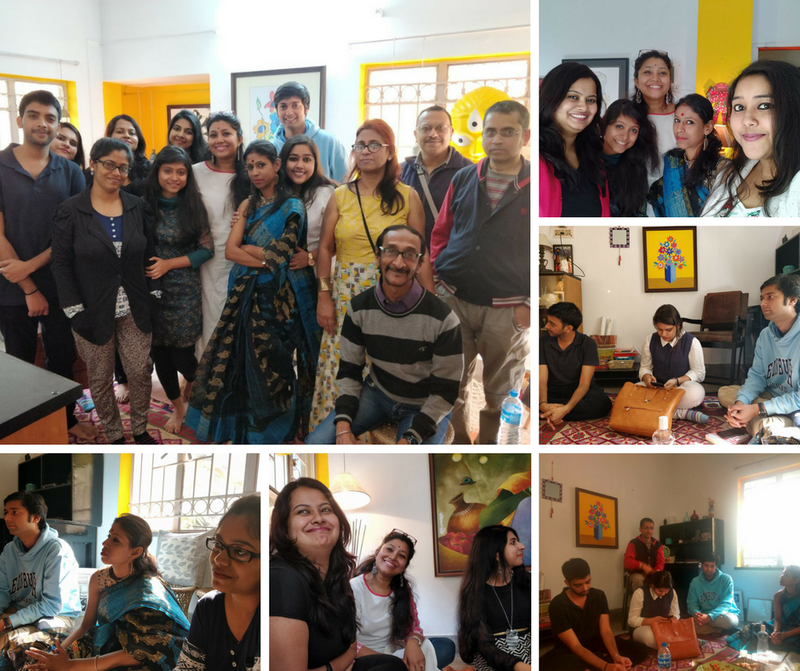 In fact, I wanted to write the blog post right after the very first successful Books, Monsoon and Chai meet. The rain had played a spoilsport and made a lot of people miss that event. But it had been my favourite. Don’t ask me why. Because I wouldn’t be able to tell you or give you an answer that is satisfactory enough! This was Pradipta’s idea. 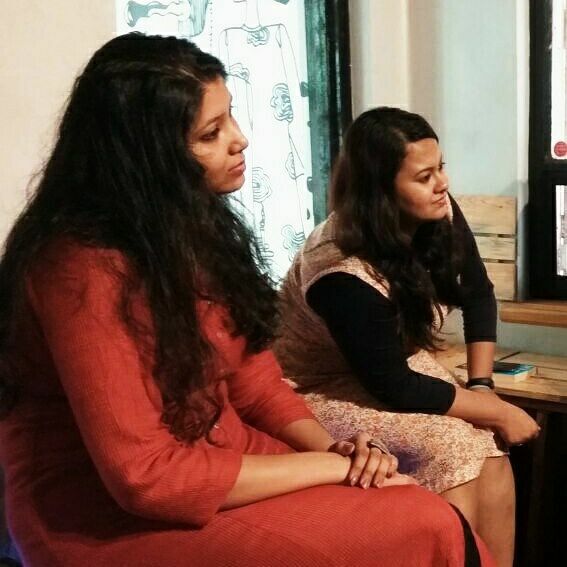 She had lived in Delhi for two years and she wanted to create an event that involved books. Back in 2016, she and another friend had conducted the first ever book event. Back then, it wasn’t called Books over Chai. When she moved back to Kolkata in early 2017 she shared that she would like to take up hosting the event again. And because I was working in a job that involved me deeply in the world of books and literature, I agreed to help her. I cannot tell you exactly when the helping turned into collaborating with her fulltime on the project. Because even though Books over Chai is her brainchild, I feel just as responsible for it and just as proud of the events we have successfully conducted so far. I am the poster child of an introvert – with books and cats and notebooks for company. This event, I have personally felt, is a place where people are allowed to be themselves without any apologies. I have found people who I know to be introverts become okay with speaking and voicing their opinions. While they have sought the comfort of hiding behind their books, I love how Books over Chai gives them just enough encouragement to raise their heads a little and tell you what they think – of both books and this world. In all the meets that have happened till date, I have found myself very systematically sticking to my Young Adult novels. Though I barely meet people who share the same enthusiasm for this particular genre. At the same time, I constantly meet people who read books of different genres, and I learn about books and characters I would have perhaps never come cross! So if you happen to be in Kolkata, please do come to the next meet. I cannot guarantee that you’ll absolutely love it. But I can promise you good conversations about books, authors, stories and characters over cups of piping hot chai! Initially this meet was held at The Chaiwala. 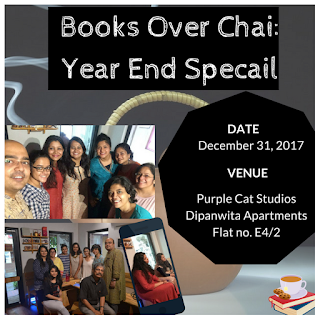 We moved the location to Purple Cat Studios at Dipanwita Apartments from December. We sincerely hope that this location remains constant over the many, many more sessions to come. Pradipta and I are both humbled and proud of how far we have come with Books over Chai. Do help us take this beautiful journey forward! Ping either of us if you happen to have any queries regarding this. And follow our Facebook Page - Book Lovers and Readers - for more updates! Wish wish wish I am in Kolkata the next time.! !